What are the roles that I should have to receive the leads in my CRM/Destination? What should I do if I can't see the Integrations tab under the Business Manager section or if I'm not the owner of the Business Manager? Why I can't see my Facebook Form under the Facebook step? If you spend money on Facebook, set up Business Manager. It’s better than using a personal account in terms of legality and ownership. Being a business owner you have the authority to assign logins to your team based on the requirement, the access level can be controlled with the tool, from the home page you can assign pages and ad accounts to your staff members without any security issues. If any of your staff members stop working for your business, you can easily remove their access with a click from your administrator account and track any changes they made in the past. Once done, to enable the “People Access” you need to go under the “Integration >> Lead Access tab >> People” select the page linked to the bridge and give to the user the access. What should I do if I can’t see the Integrations tab under the Business Manager section or if I’m not the owner of the Business Manager? In both cases, you need to contact the owner of the Business Manager and ask him to follow the previous procedure. Why I can’t see my Facebook Form under the Facebook step? 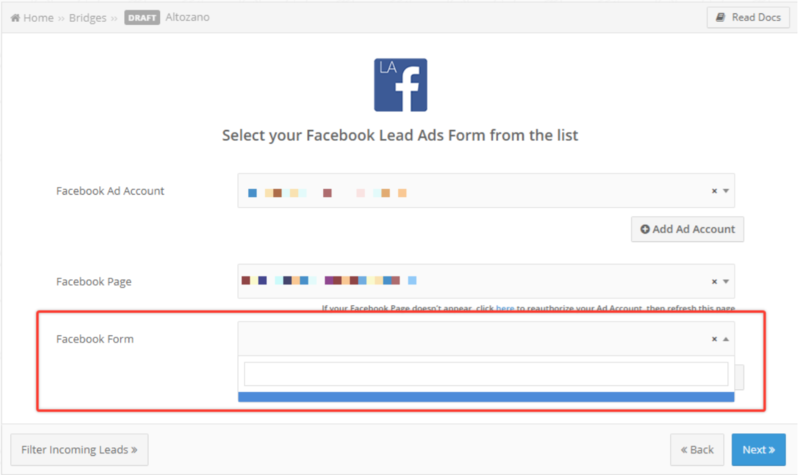 To be able to manage Ad Forms and related leads, the Facebook page containing the Ad Forms must be managed within at least one Business Manager. Users also have to be managed within the Business Manager of the Facebook account that is being used. The page that is used should also be assigned to that user. The page that you want to manage inside LeadsBridge needs to be included in at least one Business Manager associated with the Facebook Account. This same page should also be assigned to the account which is used inside the Bridge. If you can’t see the Facebook page in the bridge set up there can be that your connection is outdated. 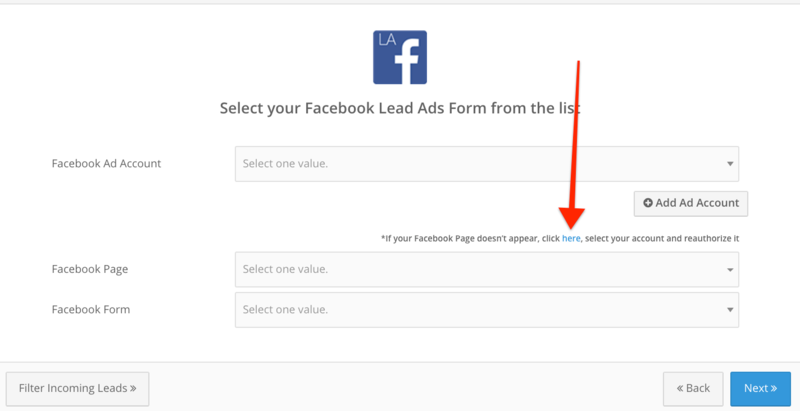 In order to update it, you should re-authorize your Facebook Ad Account by clicking on the “here” link, as shown below. Once done, your Facebook page will show up on the drop-down.